Given the number of digital editing tools available, a photographer’s final image may be remarkably different from what the camera initially captured. The background may be completely different, words and phrases may be added, or the subject’s features may be distorted. 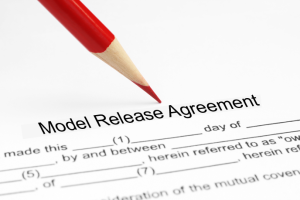 Models should be advised of these possibilities prior to signing a release. As discussed in prior posts, a model release is a contract between the subject and the photographer. The subject grants permission for his or her image to be used for commercial purposes. In exchange, the photographer provides something of value, which can range from monetary payment to free copies of the images. Of course, if you plan to make specific edits to the images, it is always a good idea to reference them in the release. For example, if you plan to take a photo of a child and superimpose it onto a background of killer zombies, it is a good idea to obtain the parent’s consent. For more on model releases for children, please check out my prior post on a model release contract with children.